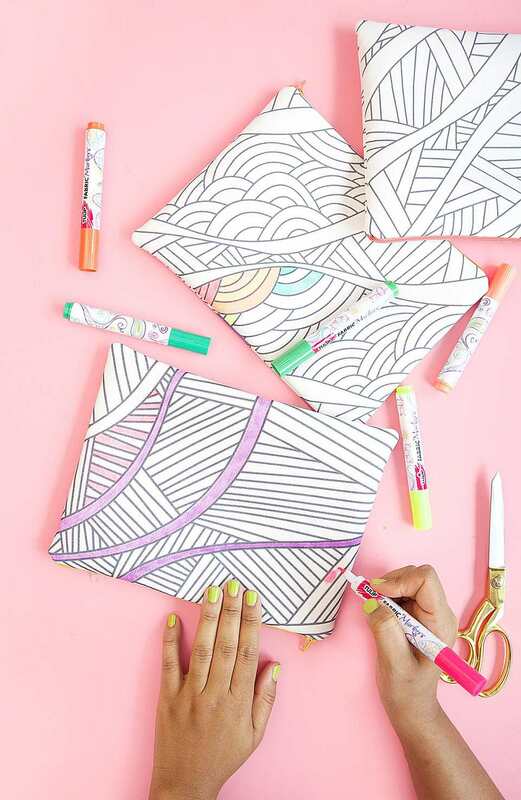 Love to color in adult coloring books? If so this DIY idea is for you! Make your own coloring pencil case that you can color in just like a coloring book, and it will also keep your markers and pencil crayons organized the next time you are looking to color in your coloring book. Have fun before you wrap a gift by DIYing your own printable gift wrap with a lovely floral design that you can color in. Recently everyone it seems has been swept into the adult coloring book craze as a means to be creative and to relax. Skip running to the store for a new coloring book the next time you run out of pages by assembling your own by printing free adult coloring pages and binding them together yourself. Accessorize your home with some free art by coloring your own typography art for your walls with the perfect colors to match your space. Put a smile on your face every month with this DIY printable calendar of ridiculous food or drink holidays, such as something on a stick day or donut day, that you can have fun coloring in each month. Print this romantic coloring book page to go in your DIY coloring book, or hang it up in your home to put a smile on someone's face every time they see it. Show your appreciation to someone who helped you by surprising them with a gift topped with a DIY gift tag that you can have fun coloring in for an extra personal touch. The next time you are looking for wrapping paper DIY your own instead, by printing your own sheets of geometric heart patterned wrapping paper which you can have fun coloring in. Color in one of the two available ampersand prints that are available in a black and white coloring book page format that you can print and frame in your home.